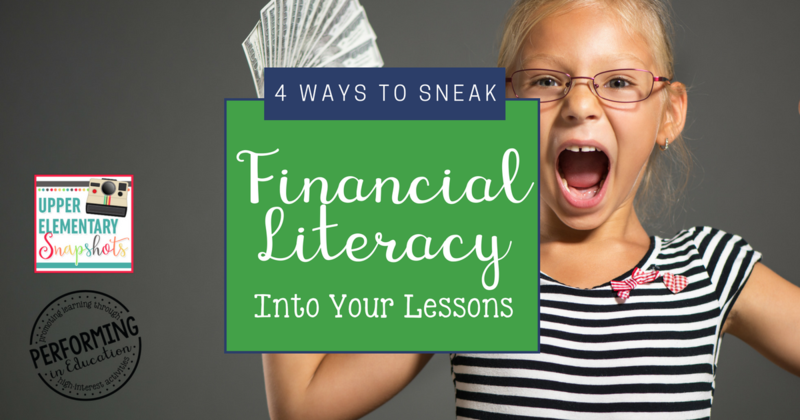 Financial literacy skills are very important, but we rarely have time to teach them. I hope that these creative ways to "sneak" financial literacy into your lessons will help you better incorporate these important skills into your classroom! Read books that talk about financial literacy. Most teachers have a lot of decision-making power when it comes to what literature they use in their classrooms. 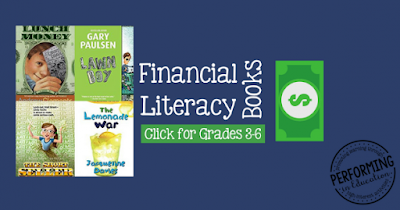 Choose books wisely to meet your ELA standards while touching on financial literacy topics. Choose a book with a financial literacy topic as your next real-aloud. Use the book in your next novel study. Read a chapter and ask students questions related to your standards. Use passages from the book to model the skills or standard. Click to view the book list. Relate everyday math standards to financial literacy. Your math standards are going to be your best connection to financial literacy instruction. When you can relate your standards to financial literacy, do it! Tweak your lessons to include a real-life financial situation like balancing a budget or opening a business. 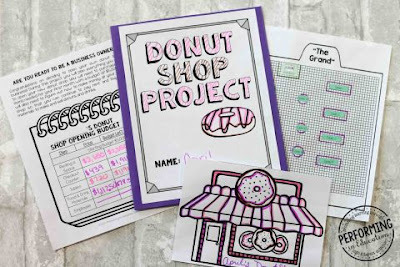 The Donut Shop PBL can be found here. 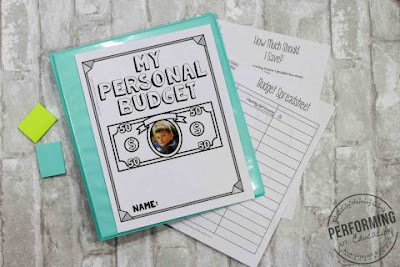 The Personal Budget PBL can be found here. Use a classroom economy (and tie it to real life lessons). Using a classroom economy is a great classroom management strategy, but did you know that it can also promote financial literacy skills? Wise Guys has a fantastic blog post and resource that will help you easily set this up in your classroom around what you're already doing! Use financial literacy as a reward. 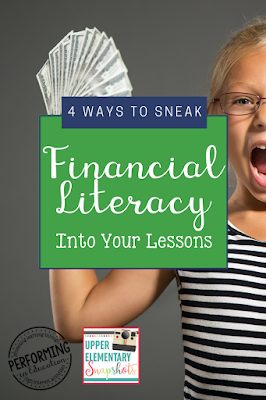 The best thing about financial literacy is that there are a ton of fun resources out there! Reward your students for a job well done by letting them play a game on their device. 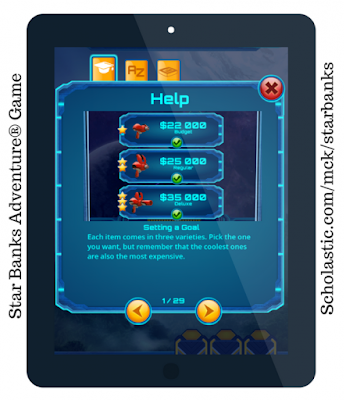 The free Star Banks Adventure game is my favorite financial literacy game! 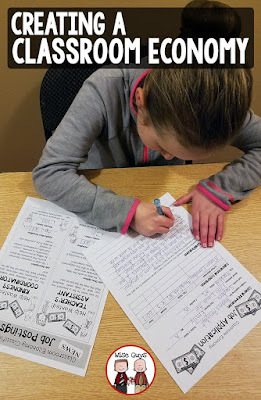 In this game students earn money, make choices, and answer financial literacy questions. Check out my review of this game here. Just a little extra effort can give your students some really important financial literacy skills! Please consider pinning this post to help get the word out there on incorporating financial literacy skills into your classroom!